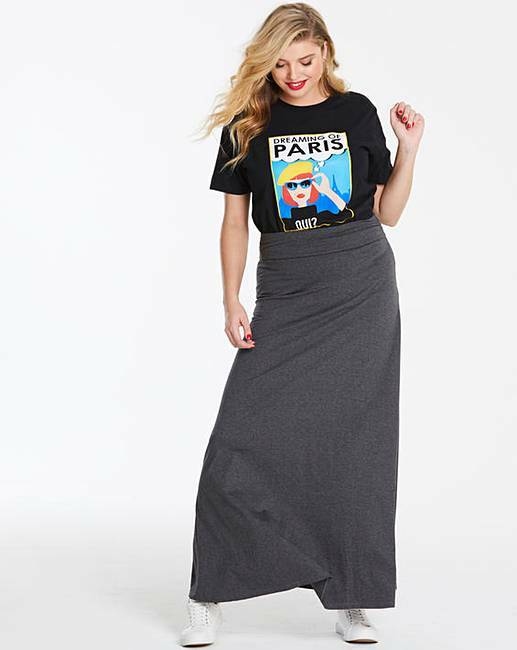 Stretch Jersey Maxi Skirt is rated 4.2 out of 5 by 280. Every woman needs a classic maxi skirt, and this stretch jersey fabric one presents the perfect combo of comfort and style. This maxi skirt can be styled up with patent courts and a cute blouse, or dressed down with a loose fitting t-shirt and trainers or flats. The fit-and-flare of this skirt helps enhance the beauty of your natural silhouette, meanwhile the wide waistband helps flatten the tummy. A must-have addition to your spring/summer wardrobe. 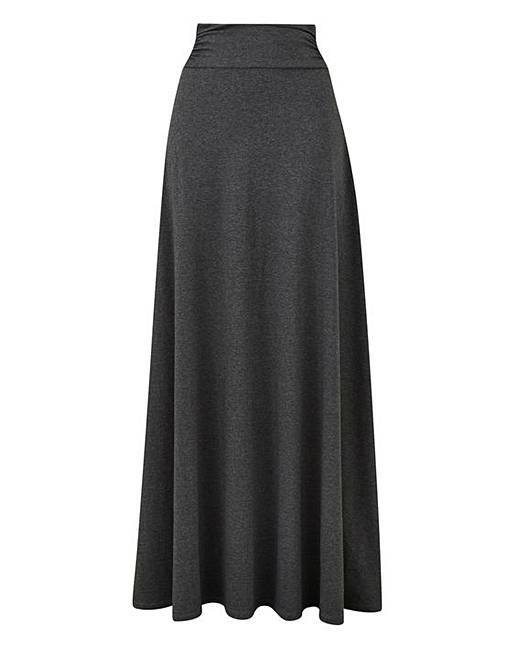 Rated 5 out of 5 by Carmondots from Fab 5* Black Stretch Jersey Maxi Skirt I really love this fab 5* Black Stretch A line Maxi Skirt, it is a lovely soft jersey material which drapes well, has an elasticated waist for comfort and the ankle length is just perfect for me (I am 5ft 5"). I wish this skirt came in other colours like White or Navy but Black is perfect for me. I would highly recommend buying this. Rated 3 out of 5 by Bettles from Fits well I bought this for a Victorian dress up day and it was perfect. Rated 5 out of 5 by Brosymum from Great skirt Comfortable, lovely material and excellent value. Rated 5 out of 5 by Caggs21 from Lovely swing to it It's been a while since I purchased this skirt I have been waiting for the right time and place to wear it , well I must say it didn't dissapoint, it felt lovely to wear, so comfortable, and compliments were recieved. Rated 5 out of 5 by Shushan from Nice skirt Nice skirt was a little long but just folded over waistband. Washes well.